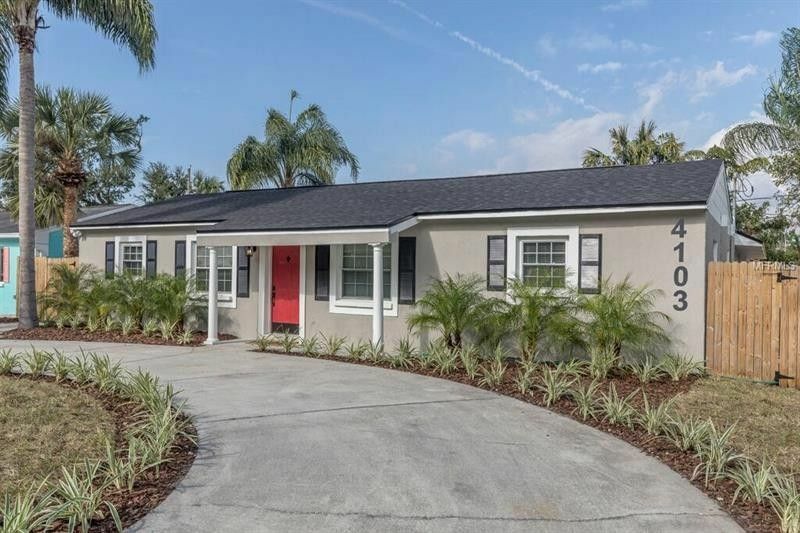 This stunning, fully renovated home is minutes from Bayshore Blvd. The grandeur shopping & dining that defines the South Tampa lifestyle. Upon arrival notice the eye catching landscape, new exterior paint, fence, & NEW ROOF. As you enter, you are greeted by the bright open floor plan- the front living space flows into the breakfast bar, kitchen, & casual dining space. The kitchen features stainless steel appliances, marble counter tops, 42'' cabinets, deluxe faucet & finishing touches of pendant lighting, & subway tile back-splash. The kitchen/dining area flows into what could be formal living/dining, game/media/play room, home office, etc.- the possibilities are endless. This flex space features french doors that lead to pool, windows for natural light, & a majestic view of the pool/spa. As you venture to the to the other side of the home you will find 3 spacious guest rooms, 2 full guest baths, & an en suite master bedroom. Bathrooms have been updated with 3D subway tiles, mosaic shower flooring, & marble vanities. The master bathroom features a dual vanity & dual shower heads for quicker, more efficient morning routines! The master bedroom also offers an amazing view & access to the pool area & an additional covered patio perfect for grilling or lounging in the shade on sunny days. Additional upgrades/features include new engineered hardwood flooring, porcelain tile, and indoor utility room. Conveniently located with easy access to interstates, expressways, airports, & beaches!